Multiple studies have all produced similar results. 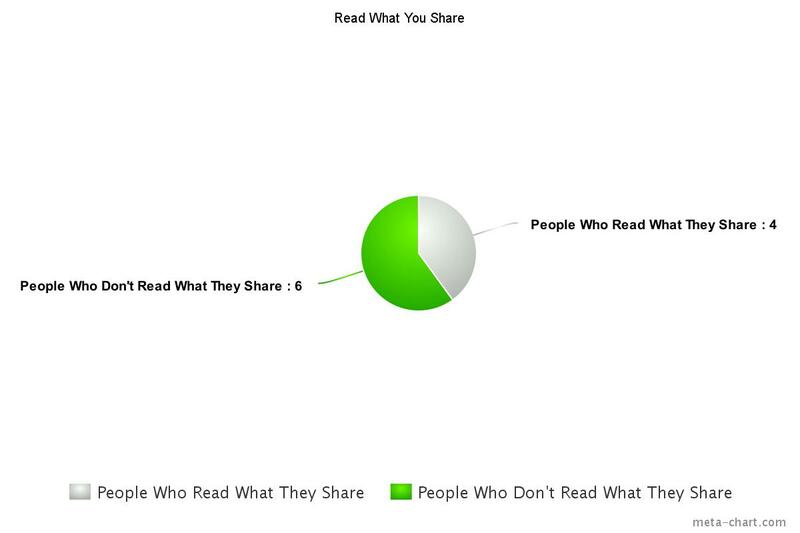 6 out 10 people don’t read articles and related content they share on their social media profiles. They base the worthiness of a share strictly on what they see as a headline or major copy in an image. Could this explain why when it comes to critical social issues and subjects such as the legal system, politics and more are debated so unintelligent on social media? I think so. Do yourself a favour, read what intrigues you. Your mind will be better off in the end.